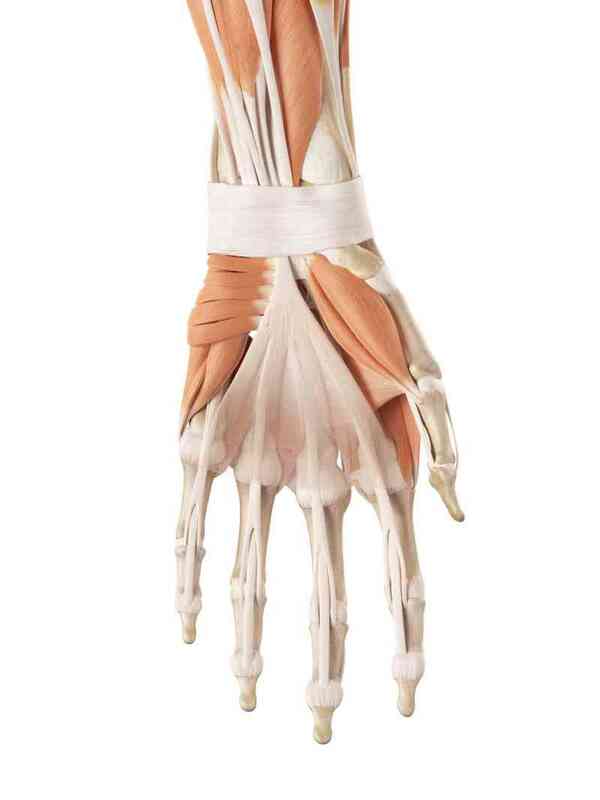 Wrist and hand are very complicated organ with delicate and complex joints, different ligament, muscle and nerve. There are 8 carpal bones and form the complex inter-carpal joint in hand region. The inter-carpal joint permit multi directional motion, while the base of thumb (1st carbo-metacarpal joint) allow abduction and adduction in the plane perpendicular to palm, it is so called "Palmar Abduction". And therefore, hand can fulfil complex task with motion flexibility. Strong muscles in the forearm facilitate stable position of wrist joint and powerful motion of hand. Wrist and hand pain is common seen in overuse, degeneration and systemic diseases. De quervain's tenosynovitis is an over-use disease over the radial wrist, involving first dorsal compartment of wrist joint in which affects Abductor Pollicis Longus and Extensor Pollicis Brevis muscle tendons. Specific motions that may elicit pain include wringing a washcloth, lifting a child. Parents and caregivers to baby would be higher risk for developing de quervain's tenosynovitis as the lifting motion might put wrist into ulnar deviation position, putting more loading on the tendons mentioned above. Carpal Tunnel Syndrome1 is the entrapment of median nerve over twist carpal tunnel structure, usually causing abnormal sensation in thumb, index and middle fingers, and muscle atrophy in thenar area over the base of thumb. The CTS is the result of nerve entrapment within carpal tunnel, and therefore its reason can be caused by systemic disease, such as diabetes, or nerve tethering by stiff carpal joint, tumor within carpal tunnel. Differential diagnosis over different causes of median nerve entrapment includes Pronator syndrome and Anterior Interosseous Nerve syndrome. Clinical physical diagnosis , Phalen's test and Tinel's sign can help for diagnosis, but further ultra-sound test, nerve conduction test or MRI can help for diagnosis and evaluate the causes of nerve compression. 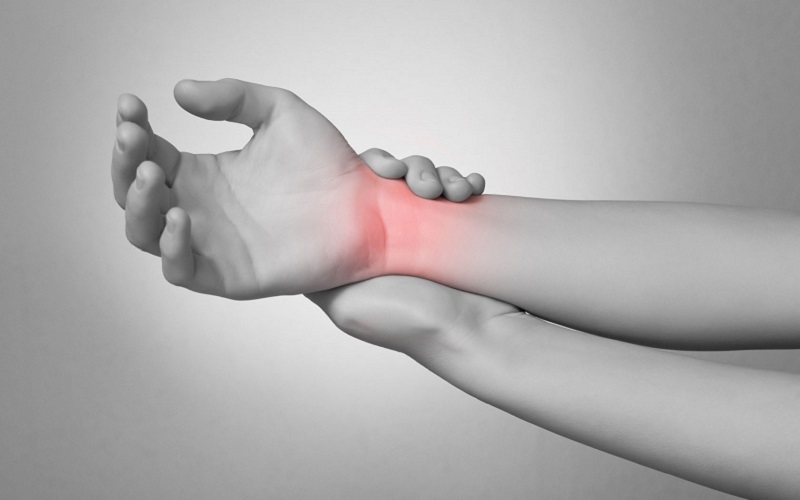 Patients complaint the symptoms as nocturnal pain, pins and needles at early stage, and it would be triggered by wrist movement in the day time, especially repetitive wrist motion. If the condition persists, it would result in the atrophy of thenar muscle, causing different size of thenar between left and right hand. 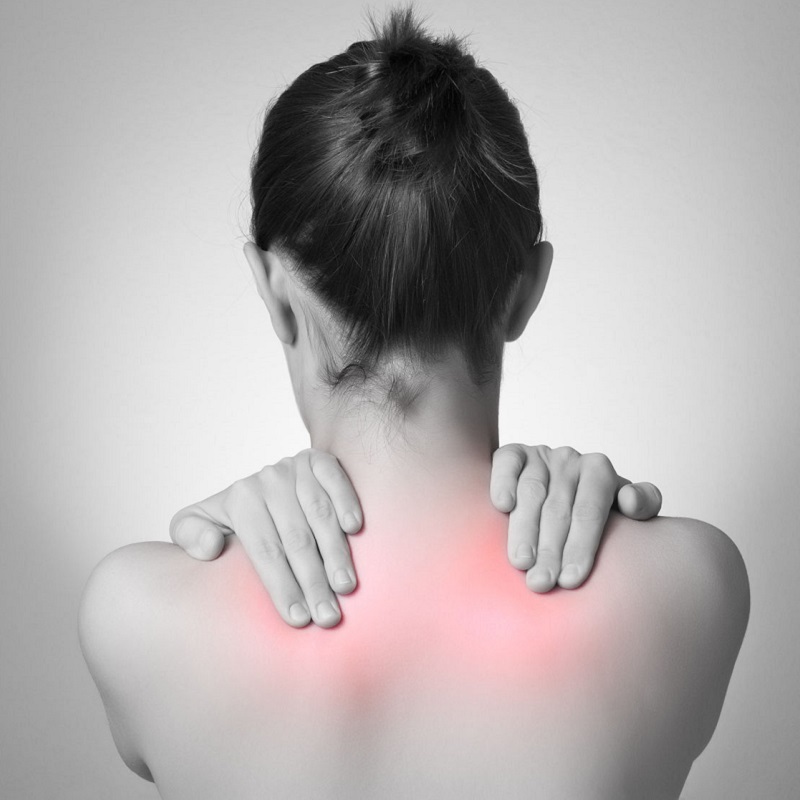 How can Traditional Chinese Medicine and Physiotherapy help? Modify the way of working, decrease the loading over wrist. Release muscle tightness, improve joint alignment and function. Promote injured tissue healing, improve function of the affected area. 1) Carpal Tunnel Syndrome (CTS) is the most common and well-known form of median nerve entrapment diseases, and which can account for 90% of all nerve entrapment neuropathies. Carpal tunnel syndrome is the result of either nerve pathology, carpal tunnel bony structure, or other space occupancy diseases. CTS usually responses well to conservative treatment, and ultra-sound or MRI might need for non-response cases in order to investigate for the reason of CTS.